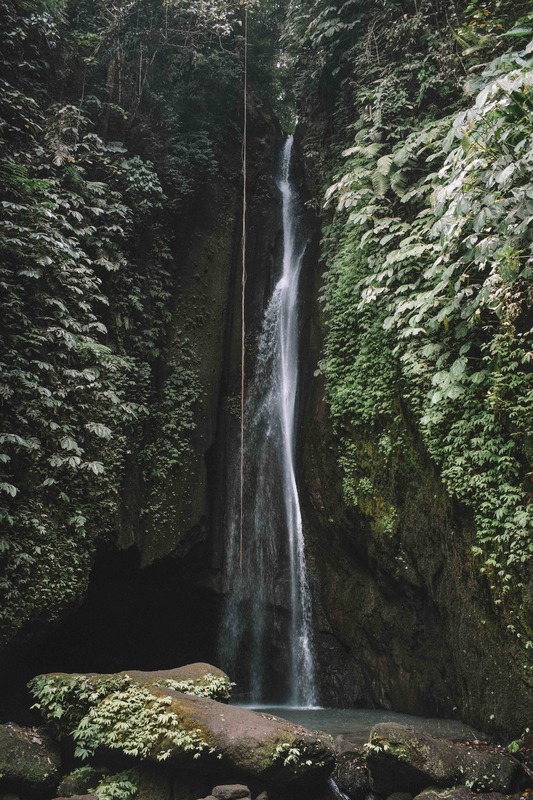 One of Bali’s smaller waterfalls, Leke Leke Waterfall is impressive in its own right. While it doesn’t have the size of Sekumpul or the power of Aling Aling, it has an understated elegance that makes it one of the island’s most beautiful spots. 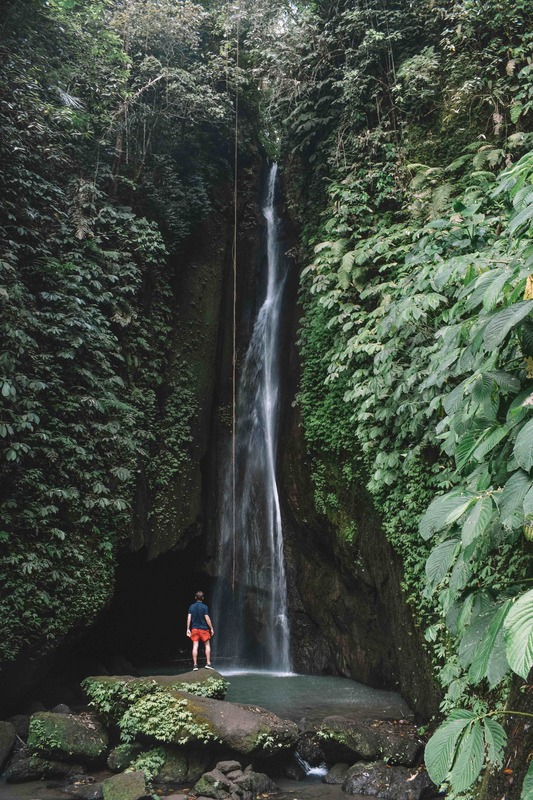 Leke Leke is also one of Bali’s lesser-known waterfalls – it only became accessible earlier in the year – and there are no other waterfalls nearby, so there’s a strong chance you’ll have the entire place to yourself. The stream of crystal white water is framed by two rock faces covered in thick jungle foliage, creating a satisfyingly tropical scene. The water tumbles into a small pool of blue water and there are some giant boulders that form a natural viewing platform. Be sure to take in the view from the top of the steps too, which I personally think is even more impressive. Despite being lesser known, Leke Leke Waterfall is actually very easy to get to. Sitting right in the middle of the island, it’s a 1.5-hour drive from Seminyak and just one hour from Ubud. If you take the route via the main road, Jl. Baturiti Mekarsari, the waterfall is just a three-minute drive after you take the turn off, meaning you won’t have to tackle any rocky or windy roads to reach it. There is a small sign for the waterfall on Jl. Baturiti Mekarsari but if you miss it keep an eye out for a large ‘Coffee Break’ sign, which is right next door. Once you’ve parked, you’ll then need to walk for fifteen minutes down a jungle path, across a picturesque bamboo bridge that provides a good photo opportunity. It’s not very steep and the route is well maintained, making it much easier to hike to than other waterfalls on Bali. You can also borrow a walking stick from the ticket office which comes in handy. Take the main road – Jl. Baturiti Mekarsari – for easy access to Leke Leke Waterfall. 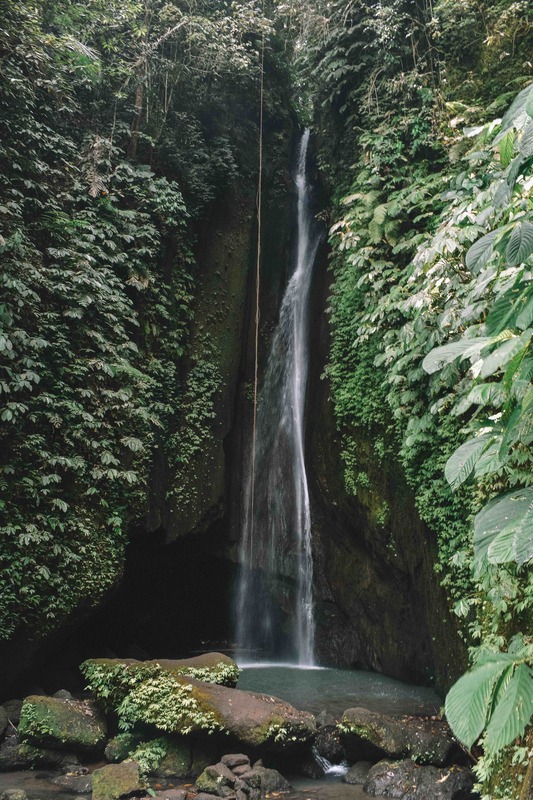 With an entry fee of 30,000 rupiah, Leke Leke Waterfall is actually quite expensive compared to other waterfalls – Sekumpul is only 15,000. However, this is still only about £1.50 so it’s hard to complain. The ticket office is also surrounded by beautiful gardens with a food and drink stall and a toilet that’s available to visitors.